This is the top selling Chardonnay at the store with its popular ripe fruit flavors of golden apple, pear, pineapple and full-bodied richness. Sourcing from the three premium growing regions of Santa Maria, Arroyo Seco in Monterey and Carneros as well as not going through malolactic fermentation helps this wine retain refreshing tart apple acidity. This is helpful to balance the round sumptuous power the wine gets from undergoing barrel fermentation. 10 months aging in American oak adds creamy vanilla, baked croissant and cinnamon spice aromas to the wine. 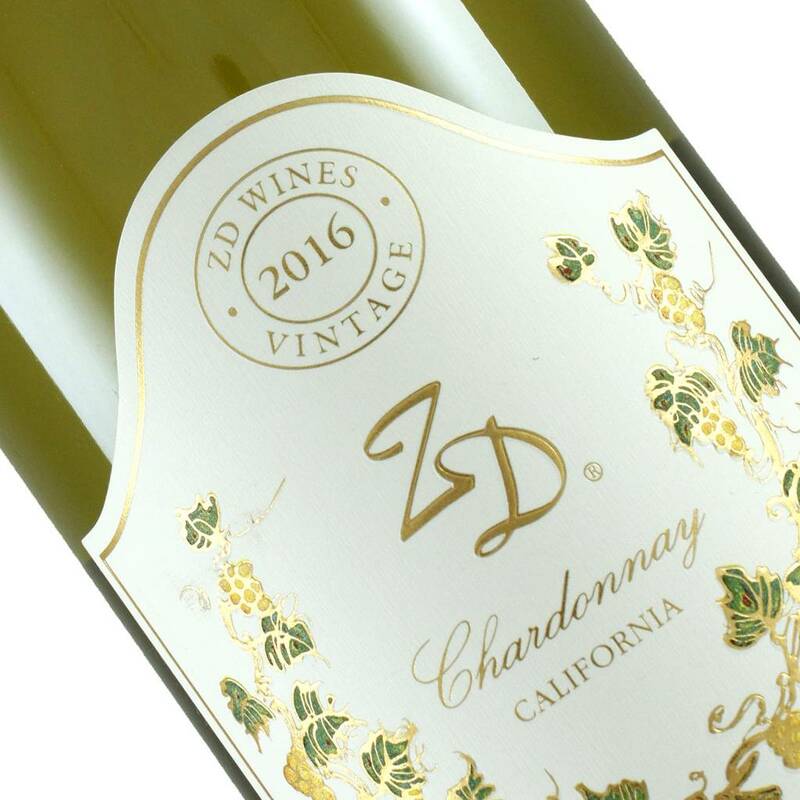 ZD is the third generation of the deLeuze family to operate in Napa Valley and have always produced quality wine.